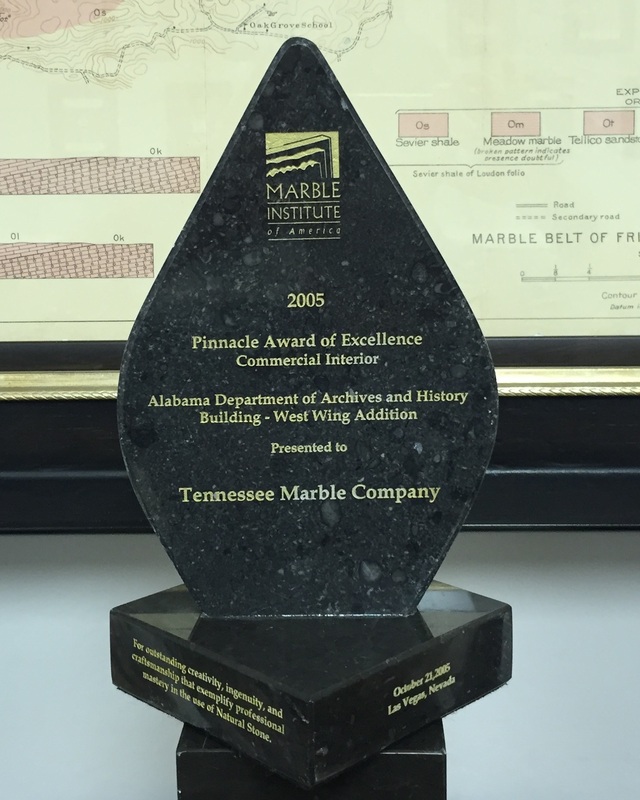 In the Alabama Department of Archives and History Building in the West Wing you will find the beautiful floor made out of Tennessee Rose Marble. a 34′ x 26′ 340 piece ellipse is centered in the floor. Five ellipse accents, six diamond accents and four triangle accents make up this magnificent floor found in the main hallway from the lobby.